What on earth have you been up to? We haven’t heard from you in ages, I hear you saying. Well. to be honest, I’ve been really busy, but I don’t feel like I’ve got much done at all. The life of a writer is hard yakka. I’ve been working on promo for months now, trying different things with small successes here and there, but nothing to write home about. I’ve done a bit of Face Book advertising, been drumming up a few reviews, dabbled in some Amazon Marketing, and now a good reads giveaway (and boy has that taken off… Not in sales, but I’m getting a lot of adds to readers TBR lists – which is awesome!) In between all that I’ve been building relations with a publisher (helping them to help Indie authors), trying to write more (not had too much luck with that), and trying to keep up with my own TBR list. As far as my actual writing goes, I’m about half way through a short story I was doing for an anthology, but the submission date for entries has passed now, so I’ll be saving that story for another book. I’ve got around 3 complete stories in the first draft stage that I need to edit/rewrite to polish them up. Then there’s a novella (that might end up as a novel) that is around the half way mark. I plan to get stuck into finalising these in coming weeks, so I can start formatting them for print/ebook and find appropriate covers. At least that’s the plan! If you haven’t read any of my work yet, you can grab a free copy of the anthology ’18’ from most of the popular retailers. It has my first published short story ‘Low Life’ lurking amongst the pages. The anthology Darkest Depths is also tipped to become free in the near future, so keep an eye out for that. It contains another short story by ‘yours truly’ called ‘Darkness in Shadows’. 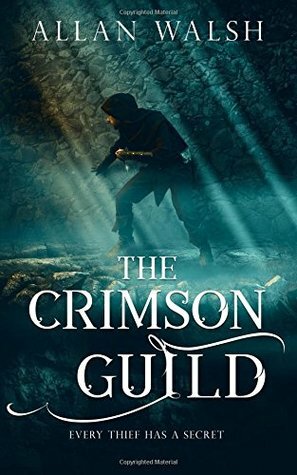 These both fit into the horror genre, but if that’s not your cup of tea, you can always enter the good reads giveaway for a copy of my fantasy novella ‘The Crimson Guild’ or if you’re feeling generous, shell out on a copy of ‘Blood Rage’ (or better still, the boxed set which is better value). In the meantime, I’ll do my best to get some new material out over the next 6 months. Repost – Done is better than perfect.